Do you require top-notch, dependable and reputable commercial plumbing and HVAC services in Orange County? If your answer is “yes”, seek no more – Orange County Plumbing Heating & Air Conditioning is your #1 choice! For over 5 decades, our company has been providing the surrounding communities with the very best commercial plumbing, heating, ventilation and air conditioning (HVAC) services. Our expert team will exceed your expectations when you decide to install, repair or replace your commercial plumbing or HVAC systems. 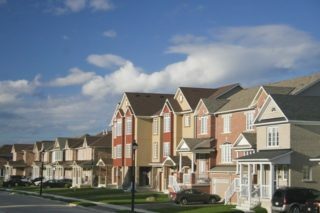 What is a Homeowners’ Association – HOA? A homeowners’ association (HOA) is an organization in an apartment block, planned community or condominium that comes up and applies rules for the properties under its control. The purchase of the property automatically makes the new homeowner a member of the HOA and requires certain fees. HOA fees cover common areas such as pools, tennis courts, gyms, maintenance of the exterior of the buildings and common area insurance. If you want to successfully operate your business or manage the HOA, you must be aware of how critically important it is that all your plumbing and HVAC units run smoothly and at their optimal level of efficiency. Our team at Orange County Plumbing Heating & Air Conditioning will deliver professional and consistent commercial plumbing and HVAC services to your company or HOA. We’ll cool your business facility in summer and warm it up in winter with all your plumbing systems operating smoothly throughout the whole year. Our commercial system experts also offer plumbing, heating and AC units’ maintenance, such as a seasonal cleaning and diagnostic checkup for industrial water heaters, furnaces and AC units. By maintaining your plumbing and HVAC equipment in great working condition, our service team reduces any interruptions in your company’s work and saves unnecessary repair costs. We take calls 24 /7 because problems usually don’t happen during regular business hours. If you find yourself in the middle of an emergency situation, we guarantee you immediate and productive service to have your business up and running in no time. Our reputation speaks for itself. Do not hesitate anymore and contact our family-owned company and we will not let you down!